We have deliveries and installations of used warehouse racking happening right across the UK in the next couple of weeks. We’ve got a large Link 51 pallet racking order going to Wrexham, some Dexion racking going to Stockport for sheet metal storage, several bays of Apex second hand racking going to Norwich to be used as carpet racking and some Hilo pallet racking beams going to Brighton to add levels to the customer’s existing industrial racking. We are also installing some new AR pallet racking for a customer in North London. 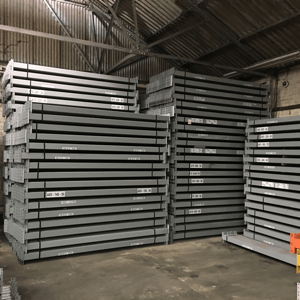 So, as you can see, we can find the right pallet racking system for your needs and deliver it to you quickly and in great condition, wherever you are in the UK. 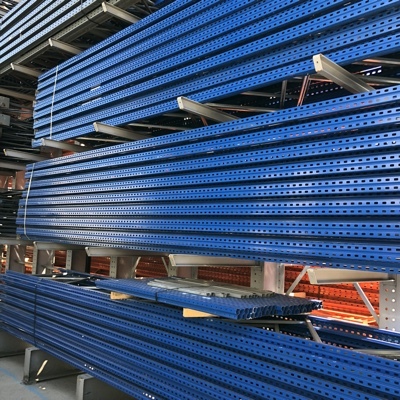 Call us now on 0800 612 3210 to give us the details of the racking you need, or we can help you plan a layout if you aren’t sure. Alternatively, you can send us a message using the enquiry form and we will get back to you quickly. Our industrial racking installers are always busy with all kinds of pallet racking, heavy duty shelving, longspan and bolted shelving. 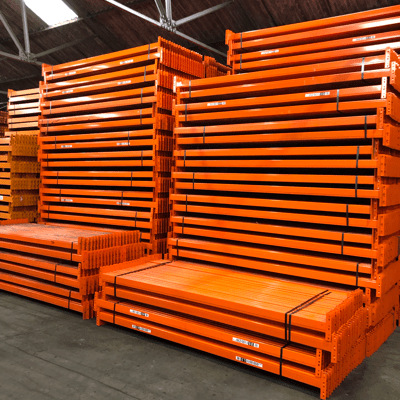 We cover the whole of the UK mainland and our installation teams have all the required qualifications to ensure that your warehouse racking meets with SEMA specifications. Whatever the size of the job, our experienced team will give you all the guidance and advice you need to make the most of your storage space. In the next couple of weeks we are installing used Redirack pallet racking in London, Dexion racking in Manchester and some hand loaded shelving in Leeds. All of these are using plans and layouts which we have drawn up from the customers’ requirements. Call us now on 0800 612 3210 with as many details as you can about the storage system you need and we will help you get the right racking at a great price. Alternatively, you can use our handy enquiry form and even include a sketch of what you need to help us plan a layout. Do you need Dexion Racking? The most common request we get from customers is for used Dexion racking, but this isn’t always what they want. In the same way that “Hoover” became a brand name used to describe products from a range of different sources, Dexion racking is often used to describe pallet racking which can come from one of twenty or more manufacturers. If you are adding to your existing warehouse racking and you aren’t sure what type you have, please send us a clear, close up photo of the front face of the upright frame and our experienced team will help you identify the maker. Apex, Redirack, PSS and Link 51 are all common industrial racking manufacturers and none of them are compatible with each other, so it’s important that you get the right one. 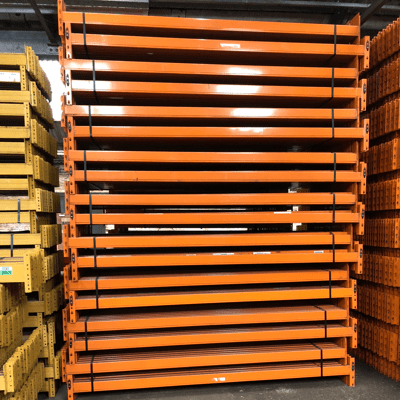 We have huge stocks of used pallet racking, and with deliveries going out to Portsmouth, Cardiff, Manchester and Sunderland in the next week we can give you a great delivered price. As we enter the holiday season, it would seem that lots of people are using this opportunity to update or add to their warehouse racking while it’s a bit quieter. 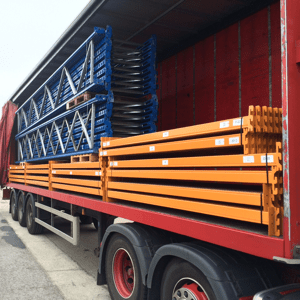 This is certainly keeping us busy and we have a constant stream of pallet racking and longspan shelving orders leaving our warehouse. In the next couple of weeks, we have Dexion racking going to North London, Apex used pallet racking going to Bolton, hand loaded shelving going to Leeds and a large order of Redirack industrial racking heading for Northampton. 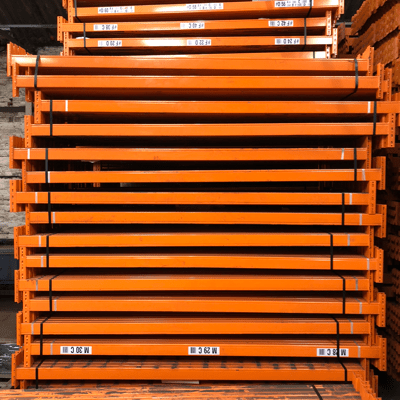 If you are close to these areas and are thinking of bringing in some quality used pallet racking then please give us a call and we will try to accommodate you. Speak to one of our helpful and knowledgeable team on 0800 612 3210, or send us an enquiry form and we will reply to you quickly.
. 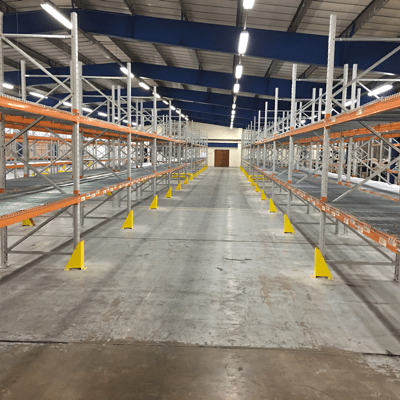 Whether you have a few bays of longspan shelving or a full warehouse of industrial racking, our experienced and knowledgeable teams will get the job done quickly and to a high standard, as well as offering advice on how to make to most of your storage space. We currently have installations booked for Dexion racking in Leicester, hand loaded shelving in Stockport, Apex pallet racking in Glasgow and Link 51 warehouse racking in Swindon. Call us now on 0800 612 3210 or send us an enquiry form and we will get in touch with you quickly. Used Dexion Racking is one of the most popular warehouse racking systems that we are asked for. Dexion Speedlock, or Mark III, is more common than Dexion P90 and we make sure we always have large quantities in stock in a wide range of sizes and duties. Dexion Speedlock racking can often be found in both metric and imperial sizes, so please check the dimensions of any materials you need carefully before placing an order. Your second hand Dexion racking order can be delivered to any UK mainland address. We have deliveries scheduled to go to Sheffield, Cambridge, Preston, Worcester and Bournemouth in the next couple of weeks, so if you are close to these areas get in touch now and we will try to fit you in. Used Dexion pallet racking is the most popular system of warehouse racking that we sell. Customers sometimes assume that Dexion racking is a generic name for all pallet racking, but there are many different manufacturers (Link 51, Apex, Redirack, PSS, Hilo etc) and almost all of them are incompatible with each other. 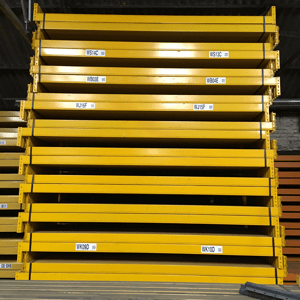 We always have large stocks of all leading systems of industrial racking, with the best offers on used pallet racking that you will find. Call us now on 0800 612 3210 to let us know what you need, or send us an enquiry and we will get back to you quickly with a great delivered price. The start of the summer holidays would appear to be the time everyone decides to review their industrial storage needs this year, and we are loving it! 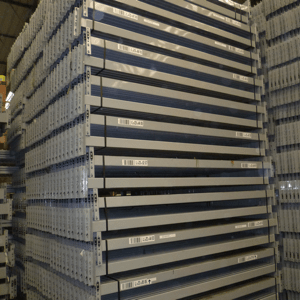 We have lots of completed orders leaving our warehouse every day, and we are busy sourcing large parcels of quality used warehouse racking to keep our stocks as full and comprehensive as we can. We have taken delivery of large amounts of Link 51, Apex and PSS pallet racking in the last few weeks and there are full loads of Dexion racking on their way. Call us now on 0800 612 3210 to place an order, we can deliver to any UK mainland address. If you are close to Manchester, Nottingham, Bristol or Newcastle we have spaces available on wagons leaving us in the next couple of weeks, so get in touch for a great delivered price.